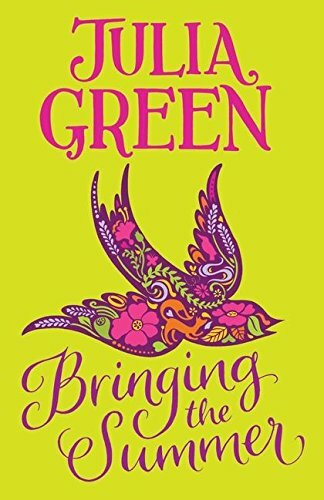 Julia Green seems to have a special insight into the thoughts and emotions of young people at that moment when they begin to leave childhood behind. She has built up a well-deserved reputation for her perfectly crafted, sensitive stories. Bringing the Summer is another beautifully assured and affecting novel that will appeal as much to adults as it does to young people, and that will remain with the reader long after the last swallow has flown. Sixteen year old Freya is slowly recovering from the death of her brother, a story told in Green’s earlier novel Breathing Underwater. She is fragile, super sensitive to everything going on around her, but guarded against it. When the train she is travelling on is involved in a fatal accident, that random event changes her life. Freya is drawn to find out more about Bridie, the young girl who chose to end her life in such a terrible way, but comes to know instead the family who were her closest friends. Warm, relaxed and full of noisy life, they seem so different to her own family, and soon Freya finds herself falling in love, first with the good-looking Gabes, then with his older brother Theo. Theo is a complex, troubled character, hit very hard by Bridie’s suicide. Understanding his suffering Freya desperately wants, indeed almost needs, to help him. At last she finds a way to do this: she teaches him how to let go. Green describes the natural world beautifully, light on water, the flash of a kingfisher over a river, finding hope and renewal all around us. Though the book describes very accurately the pain of loss, it is uplifting and full of hope, ending with a new beginning. Freya is an appealing character, and her story, told delicately in the present tense, intimate and immediate.